In the drama Jaejoong plays the character Doctor that came from Korea,who falls in love with Ueno Juri-san’s character Haru. – I would be shy and never be able to tell them “I like you, let’s go out” face to face! So instead ill tell them in a different way. For example ill write a letter and put it in her shoe or write “I like you” inside a snack box. I like to approach like that. -I go there almost everyday for work but I never got to hang there so I want to come on my private time. – At the actual photo shoot there wasn’t even a hint of his nervousness and showed his perfect face expression. 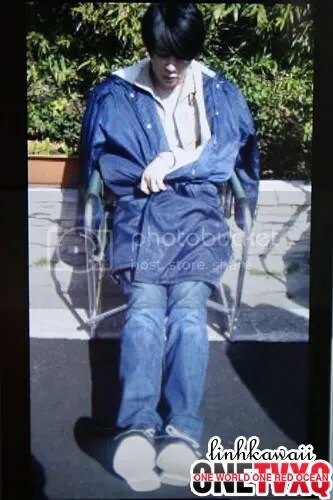 -In the beginning the female staffs said “wonderful~!” (suteki: when used on guys it can be wonderful or handsome) and he became shy but as the photo shoot continued the photo shoot became exciting which made him relax. -Towards the camera he said “Kimchi” and did a peace sign pose, started to sing(with that beautiful voice!) and playful Jaejoong completely opened up. During the break time of the photo shoot he found a carrot stick that he is into right now and was eating it happily.This left a impression. -After the photo shoot was finished he passionately shook hands with that staffs and left the studio happily to eat his reward, the pork cutlet bowl. NetEase Entertainment reported on the 7th of April 2010 that the results of the survey by HMV Japan about the fans’ purchasing desires have been released. Tohoshinki dominated the list; Ayumi Hamasaki, leader of pop, was crowned number one among the female artists. This time around, HMV Japan chose 4000 user accounts from their official website to take the survey; 50% belongs in the age group of 10-19. According to the evaluator, this age group has a very strong purchasing power. Tohoshinki triumphs over the popular groups Arashi and KAT-TUN of Johnny & Associates, based on the statistical results by the customer management system of the fans’ buying trends. Ayumi Hamasaki is ranked number 8 in the list of top female artists. It is understood that Arashi’s latest album has achieved an outstanding number for the weekly sales, but on the other hand, Tohoshinki’s singles sales are long-lasting. As for the leader of pop Ayumi Hamasaki, she’s still standing strong with excellent sales, far more than any other female artist. This survey closed at the end of last month. According to an insider of the music industry, the buying passion of Tohoshinki’s fans might continue to rise due to the start of the members’ solo activities. Last days, TVXQ japanese agency, Avex, has announced on its official website the appearance of Micky Yoochun in a japanese drama on Bee TV, a mobile broadcast media, next June. Micky is being produced by Fuji TV for ‘Loving You’. He will play a rich korean man who will fall in love with a japanese woman, starring by Oomasa Aya, the actress of “Mei-chan no Shitsuji”. Micky is also in a domestic drama, “SungKyunKwan Scandal” as the main protagonist. Micky will play the difficult role of Lee SeonJun the only son of a family who live under the “Old Learning” rules (Joseon Dynasty) and will fall in love with a cross-dressed woman. All 5 members of TVXQ have performed as actors. Doing something right still makes one subject to criticism, so what happens when one doesn’t do one’s best? But after that, no one mentioned it because we were all focused on the task, so the atmosphere didn’t suit for it anymore. Despite the cold, you still came, thank you. It was a really cold weather, so I’m really worried. But everyone was really enthusiastic, and you had cheered me so loud, I’m very grateful. In the future, I will continue to work hard too. Being his group TVXQ has been in inactivity, Yunho will make appearance in other singer’s music video. Rookie R&B trio group J.Rich announced the release of their debut song music video on the 12th starring TVXQ Yunho “Goodbye My Love”. 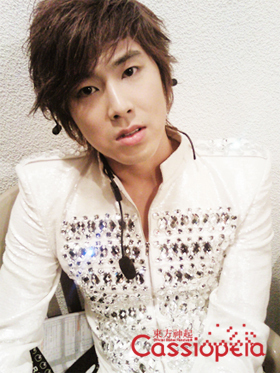 Yunho, ever since his group TVXQ debuted in 2004, has never appeared in another singer’s music video even once. But this time he will make appearance to support one member of J.Rich, Haekang who are in the same age and also from the same origin as him. Having a close friendship with Haekang since childhood, this will be the first time for Yunho to star in other singer’s music video. 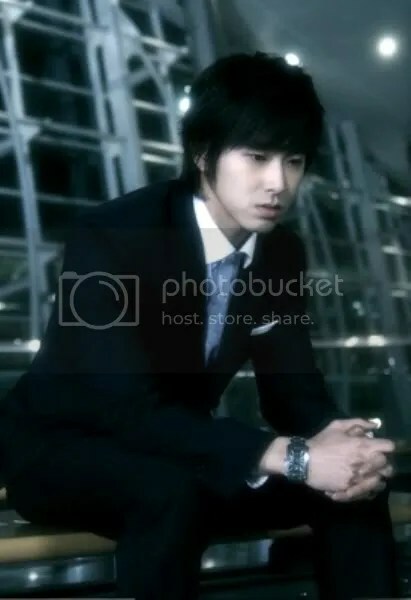 What kind of image figure Yunho will show in the music video, fans have been expecting it a lot. 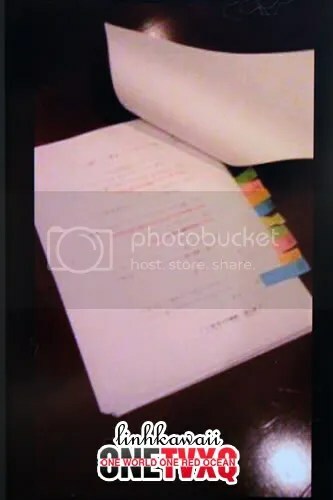 Right after he came back to Japan, upon his wish, he practiced reading the script with the manager. Since he practiced so steadily, it seems like he has perfectly mastered his lines. Today too, he’s been filming since the mornin~g! I’ll do my best today~! 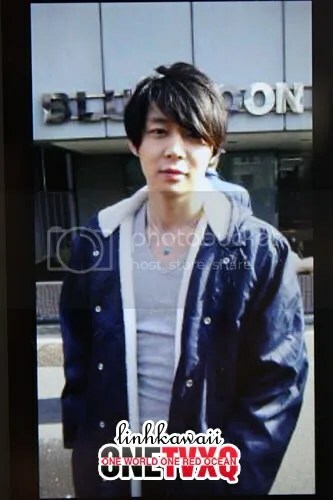 Even at 8am, YuChun looked this refreshing!!!! Although he didn’t have enough sleep, he still screamed out with all his fighting spirit, “I’ll do our best today~!” ? 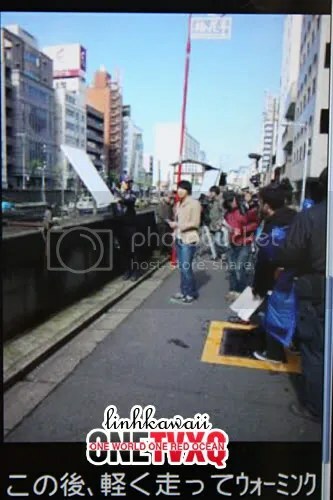 Today, even though it was the first day of filming… he had running and running and running scenes (LOL). After that, he did some light running to warm up!! After he finished half of the running scenes… he was dozing off…. Even though it was short, please rest well, YuChun. 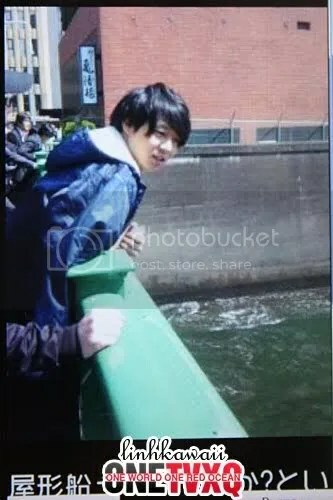 What YuChun was looking at and was deeply interested in was… a roofed pleasure boat ? 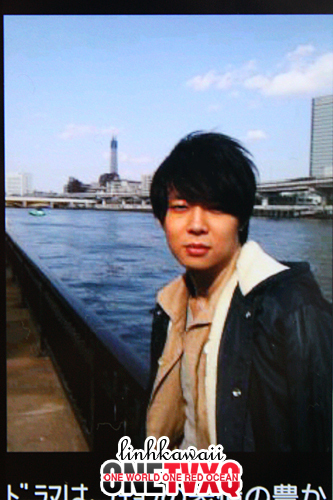 YuChun then had a shining bright look on his face and said, “I want to do it someday~~! !” and he got hyped up…? With a loud voice, he said, “Haiii!! !” and did a fantastic pose ? 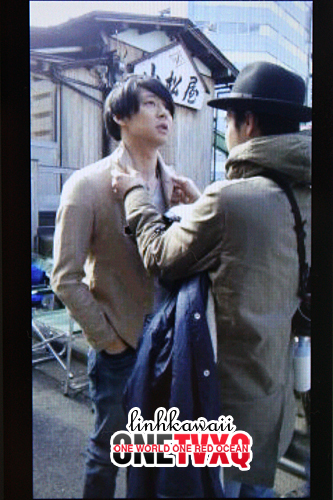 YuChun had very high tension~ (LOL). I wonder what kind of election he was trying to run for?! 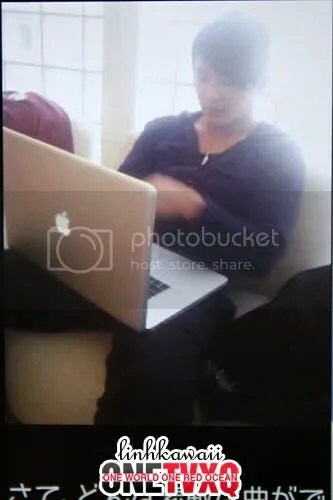 An extreme picture of a sad YuChun!! This picture depicts very well YuChun who is very full of expression in the drama~? He finished half of it~! He finished half of his filming schedule smoothly! 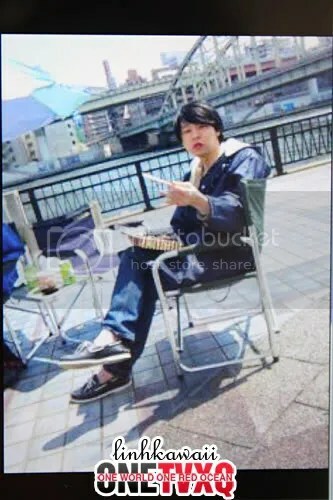 During his free time, I overheard his conversation with the producer… When he was asked, “YuChun, what kind of person do you aspire to become?”, he answered, “I want to become someone like Fukuyama Masaharu-san who is good at both signing and acting.” ? 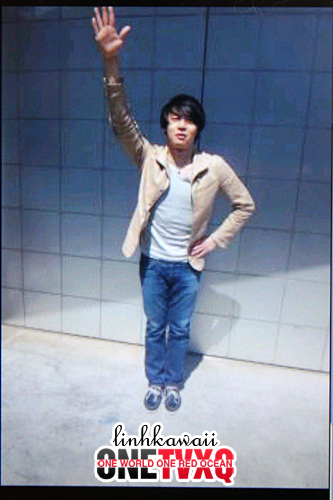 YuChun, you’ve already one step closer to your dream!! The highly praised XIAH junsu was in the middle of recording! Well then, what kind of wonderful lyrics would he be give us? Please look forward to it! !